One of my projects is still using Mule 2.2.1. I wanted to start it in debug mode so that I can do some remote debugging using Eclipse. I had already spent couple of hours before I could figure it out. This line needs to be broken down into four lines one for each Java argument. Make sure it is replaced with proper consecutive number for wrapper.java.additional property in your file. They are 7,8,9 and 10 for me. If we start looking around us in real life we’ll find more and more things are either in form graph or web of graphs. How are peoples connected with each other? How does money flow in a system? How are restaurants, hotels, and roads interconnected? How does a message flow on a social network? We’ll end up with a graph if we try to draw them on white board. We are dealing with kind of similar domain model in our project. We got a flexible model using some out of box design approaches over relational database. But this flexibility came with some tradeoffs put in by limits of relational database. Growing size of data is a concern; tens of millions of rows get added to a single table every couple of months. We are striving to come up with an improved and better-fit solution before we hit the wall down the road after few years. 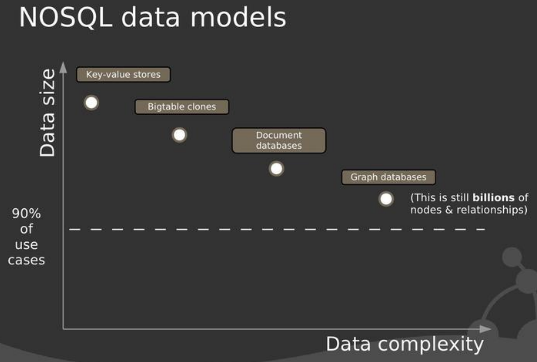 This provoked us to dive into NoSQL movement and do some experimentation. This paradigm shift to see things in natural form seems interesting or may be some food for thoughts. It may help in solving some of the problems what we have been thinking of. I'll try to touch on NoSQL and neo4j in this post. Faceoff: acronym NoSQL is not for “No SQL” or “Never SQL”; it is “Not Only SQL”. So most of the times, it means working on some no SQL persistence system along with SQL (relational) database, separating content between the two based on use case. Why a graph database (neo4j)? Many domains are graph oriented and they are poorly mapped to tables. Why take the pain of squeezing a graph into table? You might have heard about Facebook Graph API and Open Graph Protocol; which see data in form of graph of different domains like people, places, business, and events. - Properties (key/value pairs) – they can be attached to any node or relationship. Only java primitives can be used for properties, objects go as nodes. This is a JPA for graph database. An annotation driven, aspectJ based domain layer framework from SpringSource for mapping. Graph query language. Neo4j also supports a powerful native traversing mechanism to retrieve data from graph. Test Case – 1000 persons having 50 friends on average over 4 levels. What is query time to find out if any two persons, picked randomly, are friends? Result – it is 2000 ms for relational database and 2 ms for neo4j. Neo4j reports 2 ms even if number of persons are increased to 1 million. Remember search complexity of a tree from graph theory and algorithm class in school? I would love to share some of there here. 1. Hurrrey.... finally String can be used in switch statement. 2. No need to mention types of generic on right hand side while initializing variable. 3. Multi catch - specify more than one exception in catch clause. 4. try-with-resources - New try clause syntax where resources can be initialized. These resources get automatically closed for sure after completing try block. // no need to close in and out in finally block what we generally used to do. 3. NIO2 - New IO part two APIs. Support for asynchronous IO has been added. Labels: "java 7 feautres", "java 7", "multi catch", "string in switch", "try with resources"
Post params in either body or as part of URL (twitter style). Handle response equally well even if it is binary e.g. image, pdf etc. No gibberish characters anymore. Play with headers and params.